From July 31, 2018-August 3, 2018, the students from Professional Program of Campuhan College, Batch 12, experience the initiation process before they start studying. This process consist of Leadership from Within workshop facilitated by Wayan Rustiasa and co-facilitated by all of the facilitators. Initiation is an important process at the beginning of the term because it is when the facilitators open opportunities for the students consciously change their paradigm from negative into positive. The process allows them realizing their values, that they already have within themselves all along. In terms of leadership involved, they can understand that it's solely their own responsibilities, not influenced by outside factors. As the beginning, they followed the two and a half day Leadership from Within workshop, they were processing inside, accepting themselves and finding the opportunities; that were waiting to be discovered. The process continued with outbound activities. This was to build teamwork, togetherness and critical thinking. 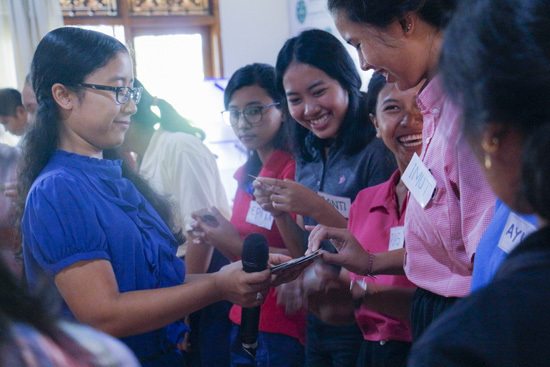 They were being facilitated per group to check their interactions within that group. The next activity is the transformation letter. They were asked to write a letter for themselves. This is in line with the Living Values Education method because they use projection and visualization. They are guided to see what the future is like, one year from now, in terms of their skills, way of communication, expressions and self confidence. During the Leadership from Within workshop, the facilitators use the session of Values Awareness. This is very facilitative for the students to understand about their values deeper. 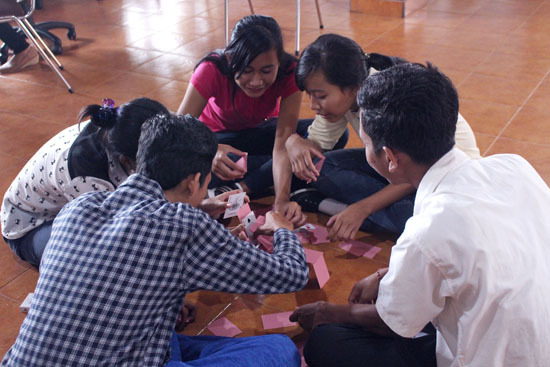 For example, during outbound activities, they were asked about what they get or what they learn from the activities. This is a good reflective activity. Kodi, one of the students, remarked “I feel happy, spirited, and I'm sure that I can handle all kinds of obstacles. Because I love doing sport, I really enjoy the outbound activities. At that time, I'm thankful that all of our friends can work together.” Evi said that “I can get to know more of my friends, and I can learn about the nature during outbound. During silence sessions, I feel peaceful, and feel that all my problems has been lifted. 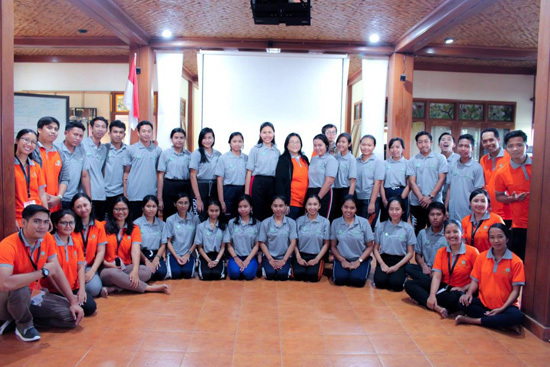 I feel some changes within me, I become more confident and brave.” The whole series of initiation events were closed with an inauguration, this make them official to start their study year in Campuhan College and become new family members of Karuna Bali Foundation.